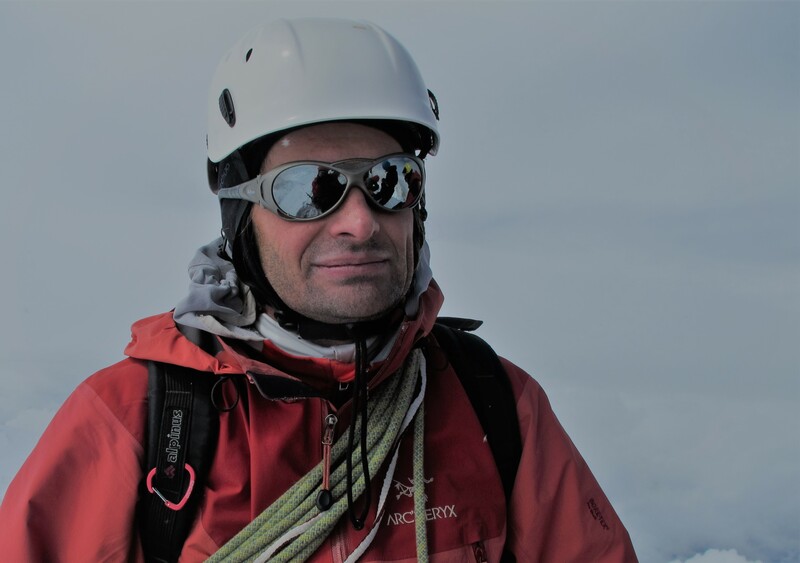 Expedition is a company created from passion for mountaineering, which specializes in professional high altitude rescue for the industry and construction, as well as services and training in the field of work at heights. For several years, we have been successfully operating on the industrial market, implementing projects for companies in Poland and abroad. We effectively help ensure the highest level of work safety at heights and we support technological processes. Our clients include industrial plants, companies that work in heavy and light industry, companies providing organization and security services, and individual clients. Top-class specialized equipment and modern solutions that we use and a team of experienced specialists allows us to guarantee comprehensive and reliable solutions at all levels and stages of project implementation in the field of work at the height you expect. It is our pleasure to offer a wide range of works at heights as well as other services related to constrution projects in industry. Our Company specialises in the performance of widely understood works at heights using rope access methods. Throughout the years we have continuously developed, modernised our equipment, improved our skills and implemented new technologies. There­fore, at present we can offer a wide range of services complying with the highest global standards. We can offer a team of foremen and building site managers with experience in works at heights, who, thanks to their international experience, will ensure the safety of even the most complex works at heights carried out using construction and rope access methods. With the knowledge of the regulations applicable to the execution of this type of works as well as the proficiency in preparing the required documents, we can perform commissioned works in a professional and effective manner. We can handle entire construction projects involving works at heights or lease single supervisors for a specified time or for the execution of a particular task. We can provide IRATA Level 3 or OTDL Level 3 technicians for the purpose of supervision over rope access works as well as foremen or building site managers for the purpose of supervision over works at heights carried out using construction access methods. HEIGHTS HORIZONTAL FIXED ROPES (LIFELINES) – Due to the complex correlations between the laws of physics and the distribution of forces in rope systems, the installation of horizontal fixed ropes requires profound knowledge and competence in terms of selection of anchoring points. Our technicians will make sure the placement of the fixed ropes is correct, their structure is suitable and that the applicable legal regulations are complied with. TRAVEL-RESTRAINT SYSTEMS – We can provide comprehensive services regarding the installation of lifelines, travel-restraint systems or fall arrest systems. SAFETY NETS – Safety nets represent a very comfortable solution from the perspective of workers. The use of safety nets reduces to the minimum the amount of the required personal protective equipment and personnel training. We recommend this solution to all contractors building modular structures, where works at heights are carried out in a designated zone throughout a prolonged period of time. Safety nets proved extremely effective in numerous cases where we were entrusted with the task of erecting steel hall structures, installing boilers, erecting production plants, etc. When leasing out this solution, our Company provides the customer with a team of technicians authorised to install safety nets, who make sure the anchoring points are properly located and the whole system is installed correctly. We have over 4 thousand square meters divided into forty square modules (10m side), which allows us to quickly move the nets into designated zones without unnecessary downtime. We offer the performance of tasks using typical work at heights systems, such as scaffoldings, man lifts, lifting equipment, fall arrest systems, etc. We provide trained personnel equipped with the required gear and tools. We have a wide experience in: structure assembly (various sizes and materials), construction of systems (electrical installations, pipelines, drainage pipes, pressure systems), assembly and disassembly of elements, rustproofing works (cleaning and coating), roofing and facing works, insulation (various types), industrial washing, cleaning and vacuum cleaning, disassembly/demolition works, inspections / expert opinion. What sets us apart from our competition? Surely the highly trained employees, most of whom have got their licences for works at heights granted by foreign associations with a global reach and the highest safety standards. 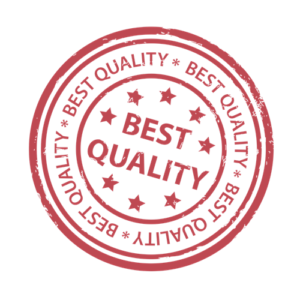 It should be mentioned that we use only top quality equipment with valid technical inspection certificates. By engaging in cooperation with our Company, you choose professionalism and safety. Procuring a permit for the performance of works at heights on a number of construction sites in Poland and abroad requires preparing a large number of documents: manuals, procedures, technical specifications, health and safety plans, evacuation plans, rescue plans, risk assessments, etc. You also have to select suitable PPE adequate for the nature of the works. For these reasons, and since we have received a number of queries, we would like to offer you technical consultancy services regarding the broadly understood works at heights. Our experts will explain the legal issues pertaining to works at heights, help you prepare the required documents, explain the differences and assist in selecting the equipment according to your needs. This particular service will most likely save you a lot of time at the work planning stage as well as at the planning and equipment selection stage. The technical consultancy service can be ordered for a specific time or for the purpose of completion of a specific task. In this area, we have cooperated with a number of Polish and foreign H&S companies. If you are short of workforce and your deadlines are looming, you should use the lease of employees option. We provide highly qualified employees with professional experience. We have many fitters, workers licensed for works at heights, rope access technicians, work at heights inspectors as well as H&S inspectors. We make sure our leased employees are adequately trained and have valid medical certificates. All other issues, such as equipment or lodging for leased employees, are arranged on a case by case basis. Statistically speaking, a human error is the most common cause of accidents during works at heights. For this reason, it is crucial to have your personnel trained in this respect. We offer trainings in the use of PPE, safety rules to be followed during works at height – Construction Access as well as planning and conducing evacuation from heights. Our instructors offer profound theoretical knowledge of these fields backed by extremely wide hands-on experience. Feel free to choose particular modules or packages available at discounted rates. As long as the adequate infrastructure is available, we offer trainings conducted at the customer’s site. Along with medical rescue services, rope access rescue is the most common -and in our opinion – the most vital service required by our customers. This type of service is most typically requested in case of works carried out on high structures, with use of scaffolding, man lifts, in deep excavations, in the case of underground works, assembly of structures, etc. Based on the analysis of safety of works at heights carried out at large construction sites, a sad conclusion can be drawn that there are no teams capable of carrying out successful rope rescue operations or evacuating individuals from heights. Therefore, Ekspedycja Company is there to provide a team of highly qualified rope access rescue workers for Your project, available at the site even 24/7. The latest equipment, new technologies and constantly enhanced operation methods translate into top quality services. The problems related to the hazards posed by confined spaces have been neglected for a long time. Nevertheless, the law is now explicit in imposing the obligation to provide the means necessary for effective evacuation and rescue operations on the contractor. Due to the complex nature of this issue as well as the amount of expensive equipment (both in terms of its purchase and maintenance), it is very problematic to guarantee safety in confined spaces. The effective solution to this problem offered by our Company consists of an adequately trained team specialising in confined space rescue operations equipped with top quality gear designed and manufactured for this very purpose. We have conducted rescue operations as well as training exercises in extremely hard-to-reach places, such as the inside of pipelines, ventilation or exhaust ducts, the inside of boilers, utility tunnels, the inside of steel structures, storage bins, silos, etc. The use of unmanned aircrafts in various branches of industry has become increasingly popular. The main advantage of using drones for the purpose of carrying out inspections, reviews or taking photos of completed works (for acceptance tests) is that they are unmatched in terms of safety as well as their abilities and proficiency of their operators. Whenever people are involved in works at heights or in works carried out in dangerous zones (e.g. in buildings where there is a danger of collapse), there are always risks for human health and life. Another problem associated with such situations is the need to prepare complex documentation, including risk assessment, health and safety plan, evacuation and rescue plan, etc. All these inconveniences can be eliminated by the use of a flying platform, which allows us to carry out all these tasks without putting anyone in the danger zone. We offer custom flying platforms to fit your needs: large, medium size and small ones. They can be used to take photos/record videos or carry heavy equipment, such as heavy-duty infrared cameras, exhaust gas analysers, heavy and high-definition cameras or laser scanners. Our operators are licensed by the Polish Civil Aviation Authority as pilots of unmanned aircrafts. They all have valid pilot’s medical certificates required for commercial flights. We guarantee the highest level of safety and professionalism. The top models in our fleet include: FREEFLY ALTA 8, DJI PHANTOM 4 PRO. The best team of experienced mountaineers. Effective and modern technological and system solutions. 100% effectiveness and security of projects. A comprehensive approach – we carry out projects as a whole, starting from training, carrying out work, supervision of works, and securing works and altitude rescue. Experience and knowledge – work at heights requires the right skills and experience. That is why our team consists of the best experts in their field, qualified alpinists who have been carrying out projects on the industrial market for several years. Security – we work on modern, high-end equipment, and all the work is performed by experienced alpinists, guaranteeing 100% safety of our work. Efficiency – we combine unconventional methods (solutions from the oil and gas industry, marine environments, use of modern equipment such as drones, planes, quads) with conventional ones, in order to achieve the best possible results. Timeliness – we perform entrusted to you within the set time limit. Permissions – we have the qualifications of the Polish Mountaineering Association confirming our high skills in mountaineering and therefore the highest qualifications to provide work at heights. Modern solutions – we use the latest technological and system solutions, and many procedural and practical methods have been introduced to the company from foreign markets, thanks to which the effects of our work are reliable and are of high quality. Hundreds of completed projects – we have completed dozens of projects for large and small companies in Poland and abroad. We have been trusted by one of the largest companies in their industries that appreciate the above-average high standard of our services. 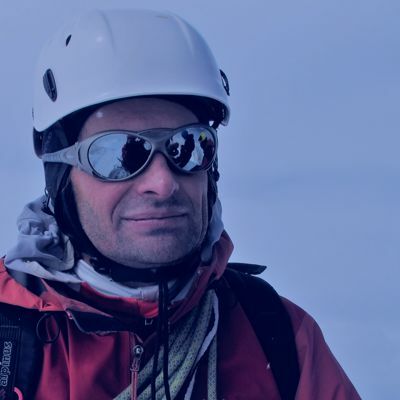 Wojciech Wiwatowski – experienced alpinist, avid athlete, enthusiast of extreme sports. He climbed, among others in the Himalayas, Patagonia, the Alps and the Dolomites, as well as in various mountains of Africa. 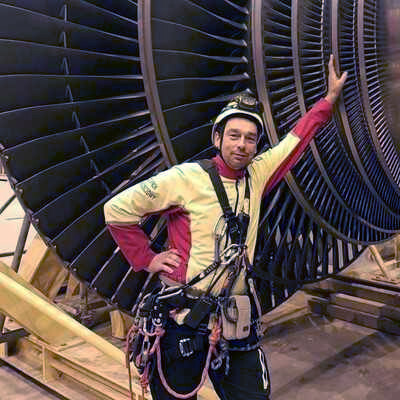 The Ekspedycja company, of which he is the founder, was born out of his passion for high-altitude climbing and its effective use in the industrial sector. Discipline, precision and care for the highest security, which he learned thanks to mountaineering climbing is reflected in his professional work, thanks to which his company is distinguished by effective services provided on a global level. Mountain tours with experienced alpinists and paramedics.